With fans set to protest, can DC soccer be United again? A prolonged battle between D.C. United's front office and two of its supporters' groups means some of the loudest fans will be yelling outside, rather than inside Audi Field when it opens Saturday. WASHINGTON — Deep along the grass berm that runs the west side of Lot 8 at RFK Stadium, the heart of D.C. United’s former tailgating home, there is a green dumpster with a banner stretching along its broad side. It’s a clever turn of phrase that has taken on a whole new meaning as antagonism and question marks surround the team’s new Buzzard Point home set to open Saturday. That theme of unity was present throughout Monday’s glad-handing ribbon-cutting ceremony that ushered in Audi Field. “At a time when the nation’s capital is too often divided, at Audi Field, we’re going to play the world’s game, and we’re going to live up to the team’s name — United,” Jason Levien, Managing General Partner and CEO of D.C. United told the crowd. But that optimism obscured a deep fissure between the team and two of its three supporters’ groups, La Barra Brava and District Ultras. After years of loudly supporting the team, the two groups plan to have no official presence at the game Saturday. Instead, they’ll be protesting. They’ve organized the Stadium For All Supporters’ March, from Canal Park to Audi Field, before the game begins. The notice encouraged all members and supporters, whether they are attending the game or not, to show up. “Audi Field is not a #StadiumForAll it is a #StadiumForTheFew,” the statement reads. The strong supporters’ group culture that D.C. United brought to the rest of the league is arguably its most enduring legacy. If you’ve ever been to a D.C. United game, you have seen them. They’re the ones drumming, waving flags, chanting. They often stand the whole game, sometimes showering their own section in beer when the Black and Red score a goal. “D.C. United had that — they were the first ones to have that in the league,” said Charlie Boehm, a Washington-based freelance soccer journalist who has covered D.C. United since 2004. Major League Soccer Commissioner Don Garber even called out the supporters’ groups by name at Monday’s ribbon-cutting, recalling a match he visited at RFK Stadium back in 1999. “Seeing Barra Brava and Screaming Eagles and walking out into RFK, I knew then that we were going to be this league for a new America that was going to drive the success of this sport as our country continued to change,” he told the crowd. The groups are not all the same. The Screaming Eagles trend whiter, more upper-middle class. La Barra Brava, born largely out of Bolivian immigrants, is diverse but more blue-collar and renowned for their rowdiness, energy and halftime drum circles. District Ultras actually split from Barra Brava in 2010, but retain a similar fan profile. While all root for the team, they have distinct cultures and traditions that operate independently from team activities. Each does charity work, though only the Screaming Eagles are officially incorporated as a 501(c)(4) social welfare organization (District Ultras are also registered as a 501(c)(4), but are unincorporated). A Washingtonian article from last year estimates their memberships at 1,200, 1,600 and 200, respectively. Every group is funded through a combination of membership fees and a ticket-buying program through the club. For years, the groups have been able to buy tickets from the team for $20 each, then resell those tickets to their members or the general public for a small markup, generally between $23-$30 per ticket. The cost difference covers ticket fees and funds tailgates and “tifo” –the large, homemade banners fans unfurl before matches. The groups operate in conjunction with but independently from the team and one another, each with their own leadership and structure. That’s what made the team’s announcement in February — that it had entered into a strategic partnership with the Screaming Eagles — such a shock to Barra Brava and District Ultras. “It was packaged in this news release that had a lot of good stuff in it, and just sort of buried in one of the paragraphs is that they are only working with one supporters’ group,” said Boehm. At RFK, the various supporters’ groups each owned a block of season tickets to which they would add on for large games, often purchasing several hundred additional seats each. There was also a sell-back program at RFK, where the supporters groups could offload up to 50 of the additional tickets they had purchased the day of the game. While everyone WTOP spoke with seemed to understand that same deal wasn’t going to be a reality at the new stadium, the supporters’ groups said they hoped to at least be able to continue to purchase blocks of season tickets as they had in the past, to sit in the designated supporters’ sections, and to be able to continue to their symbiotic relationship with the club. Sources tell WTOP that D.C. United offered the Screaming Eagles 200 season tickets for the group to purchase, essentially doubling their allotment from RFK. That’s no small financial commitment — $64,000 for the 2018 season. La Barra Brava and District Ultras said they were willing to pay for their own allotment, but were never given the chance. Both groups said talks went cold last fall. La Barra Brava shared emails with WTOP seeming to show that communication with D.C. United’s front office stopped after an Oct.19 email, right up until a last-minute phone call the morning the team’s news release went out on Feb. 14. D.C. United disputes that history of events. “Last summer we approached all the supporter groups to discuss their acquiring blocks of tickets for their members. We offered them the exact same ticket terms as the Screaming Eagles, but they turned them down demanding different payment terms. The Eagles bought their block of tickets under the same terms we offered the Barra. Barra is not a 501c (4) non profit, but rather a for profit business,” a team official told WTOP in a statement. But Igiel said no such conditions were laid out from La Barra Brava’s side. In fact, he said there was never any offer at all. 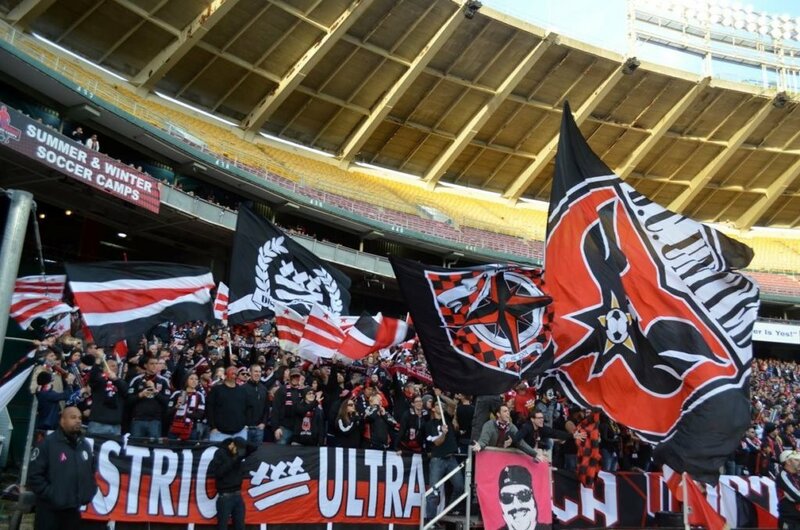 “Barra Brava categorically denies that D.C. United approached them last summer or at any point in time about acquiring a block of tickets. The timeline that D.C. United claims is unequivocally refuted by the email communications,” he said. When WTOP asked D.C. United for proof of equal offers to each supporters group, the team declined. As for the charge of being a ticket broker, Igiel said that has always been the case and continues to be so at Audi Field. 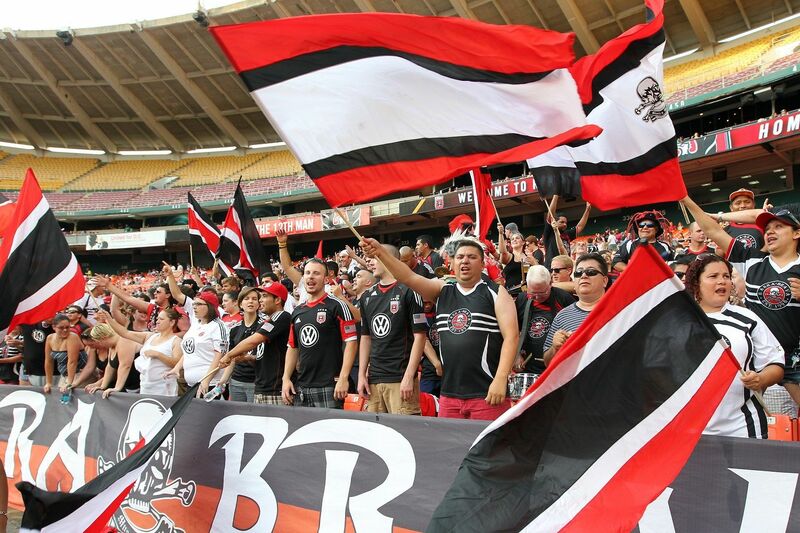 “At RFK, Barra Brava had the same ticket arrangement as all other groups. All groups acted as a ticket broker. The difference now is the team is only allowing the Screaming Eagles to do so at higher markups than ever before in history,” he said. The Screaming Eagles have purchased their tickets at that $20 price and resold their lot for Saturday’s opening match for $60, a 200 percent markup. While that price is expected to be significantly lower for games not as in demand, it means a gross profit of $8,000 for the 200 seats the Eagles purchased. The other supporters groups say they were not able to purchase tickets from Screaming Eagles at an uninflated price to sell to their own membership, either. Even with the ill-will and mistrust that the release engendered, there have been five months for the sides to patch up relationships and make things work before opening day at Audi Field. Over that time, both Barra Brava and District Ultras say the team has not made efforts to rectify the situation, all while publicly posting what the groups say is misleading information about the state of affairs. Now, just days before the opening match, the wounds remain open. On Tuesday, the team emailed Barra Brava offering a deal, one it said is the same as what it offered Screaming Eagles, and which Barra Brava said is not. The group published the email, as well as its response, leaving the sides still at a stalemate. Some of those unhappy are not just fans. Members of both Barra Brava and District Ultras have worked on the construction crews for Audi Field, literally building the facility they feel they’re being muscled out of. One member of District Ultras, Alex — who asked that WTOP just use his first name — worked on the stadium throughout the fall and into the spring, and was on the job when the team’s news release came down in February. Alex says he wasn’t the only one. 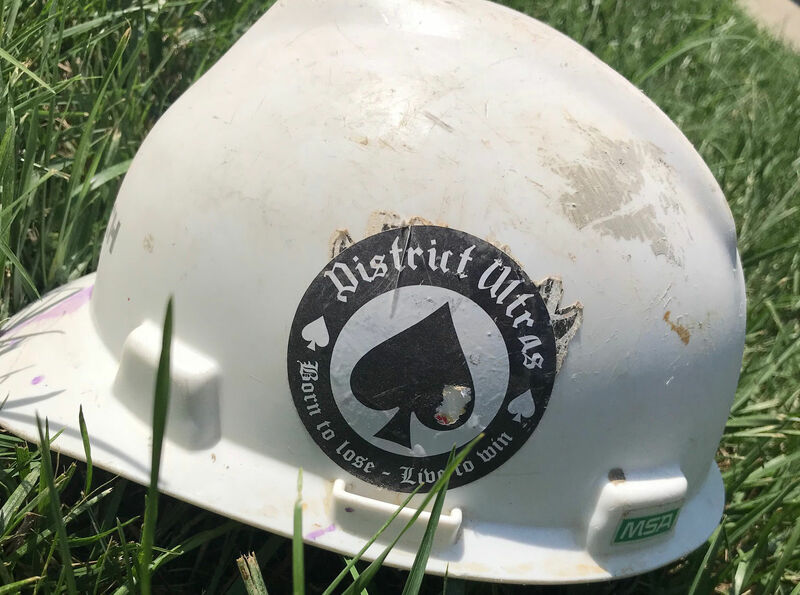 He says he saw other workers with Barra Brava stickers on their construction helmets, with whom he would chat about the team. Alex was raised in the area and attended games as a kid with his dad. He’s been a fan his whole life. The biggest thing he wants is to simply not feel as if he’s being ignored or pushed out as the team enters its new home, one he spent the last year helping to put together. Garber praised the supporters groups by name, but later, when questioned about whether the league had been a part of any discussion with the team and the supporters’ groups to mend fences, he deferred back to the club. When asked specifically about the Screaming Eagles being offered a deal that was not extended to the other supporters’ groups, Garber said he knew nothing about it. So while team, league and city officials are celebrating their history publicly as the team christens its new home, a portion of the actual fan-base feels like it’s being pushed out of the revelry. James Lambert, president of the Screaming Eagles, said his group doesn’t want to lose the support from his fellow passionate fans, and is open to continue dialogue to ensure they have a place at Audi Field. On Saturday, that noise will be made at a protest rally outside the stadium rather than for the game within it. An earlier version of this article stated only the Screaming Eagles were registered as a 501(c)(4) organization. 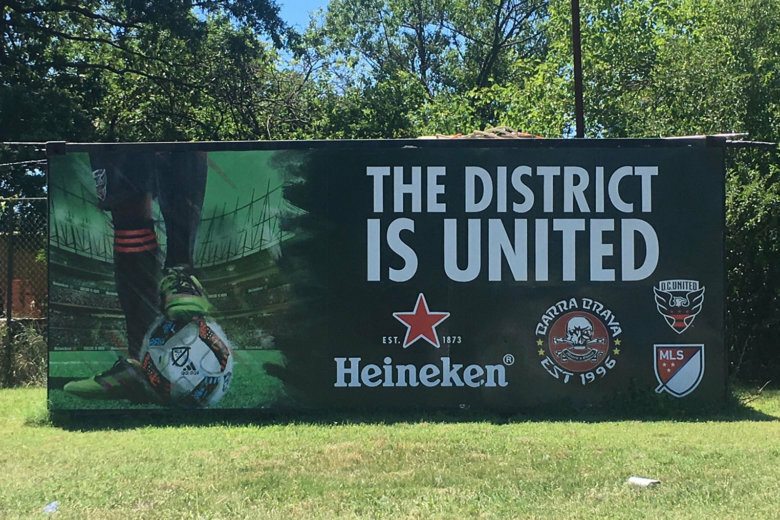 That has been corrected to include District Ultras as well.